Eagles DE Josh Sweat has a high ceiling, like Vikings DE Danielle Hunter did when he entered the NFL. 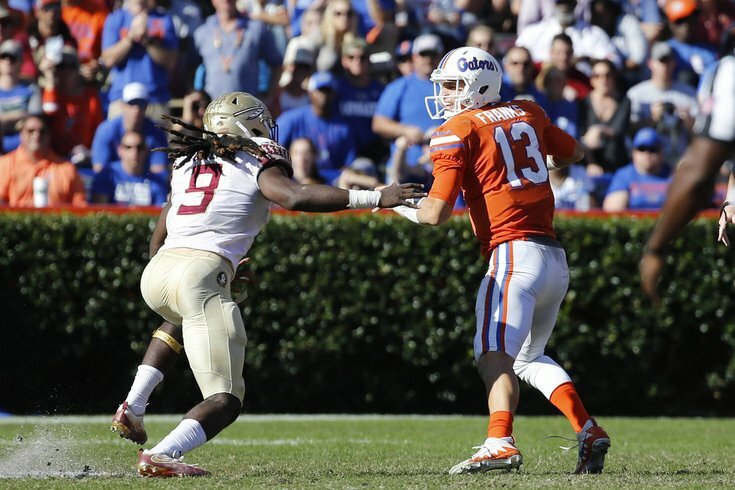 Today we'll find a comp for fourth round DE Josh Sweat. The player I came up with is Minnesota Vikings DE Danielle Hunter. Arm length 34 5/8" 34 1/4"
Hand size 10 1/4" 10 1/2"
Vertical jump 39 1/2" 36 1/2"
As you can see, Sweat and Hunter had almost identical heights and weights at the NFL Combine, with similar arm lengths and hand sizes. They also have very similar athletic measurables, with a slight edge to Sweat. In the NFL, Hunter blossomed into a productive edge rusher. In just three seasons as a pro, he already has 25.5 sacks and 3 forced fumbles. The Vikings were able to take his athletic traits and mold him into a disruptive player. The biggest difference is that Hunter was medically clean entering the NFL, while Sweat has injury concerns stemming from a devastating high school injury in which he had surgery to repair his ACL, MCL and PCL. If Sweat is indeed fully recovered, as the Eagles say he is, and he can take the coaching he receives and incorporate it onto the field, he has a high ceiling like Hunter did three years ago.